Today we discuss Benefits of insurance and 14 reasons for why your business needs insurance under Guide how to start your own business, Be your own boss. All of our interest to grow up our business and doing business operations smoothly without any prohibitive. But as well as our personal life, business life and its future is uncertain. So many things can affect your business operations such as fire, natural disasters, storms, damages for your business property and products, theft, terrorism, injured for someone in your business, file suit by a client and many more ruin things. So when you are doing business your business has to effect from a lot of unexpected restrictive. So you have to do your business with a huge risk about your business future. 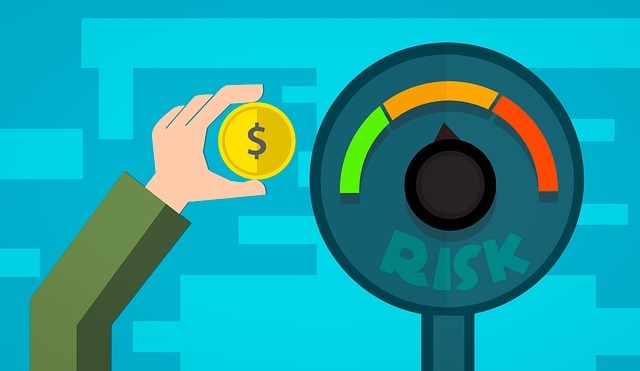 Remember that, “Running a successful business always comes with inherent risk.” So you need to look at potential risks to determine if the benefits outweigh the disadvantages. Because of that reason, business needs some risk covering to managing the risks and protect your business, its assets, employees, and society. One of the best ways to do that is making sure you, your business and your stakeholders are adequately insured. Insurance is one of the risk management tools that transfer the business risk of loss to an insurance company. Insurance can protect both you and your business and others by properly insurance yourself and your business. In some business and cases, there are laws and regulations that require to get insurance. However, by insurance your business, you and your business can experience the best benefit of all while minimizing its risks. Simply we can define it as a “Thing that help protects you from financial loss when things go wrong”. So Insurance is a service that assumes the risks. “It coverage protects the business from losses due to an event that may occur during the normal course of business”. Let’s think like that, if your business place or product or materials destroyed because of a fire, then you have lost your resources and money, but if you cover that fire with your insurance policy, they will pay for your damage/loss. Then you will prevent from loss. With insurance first, you need to choose what you want to be protected against. Then insurer will calculate the risk that the events to be insured will happen and the insurance company will determine the price(premium) you will need to pay. It is a premium which is the amount you have to pay each month or year to have the insurance. If something happens and that is cover by your insurance policy, you can claim your insurance. For that, you must tell your insurance company what is happen? Then they will check that if it is cover under your policy and if the claim meets with what you are protected against then our insurer will pay you as agreed. your business has to access to a wide range of insurance types. Below are some insurance types (basic type and additional) that you have to place as soon as possible. you can get coverage for Terrorism, Pollution Liability and Environment, Data breach, directors and officers, Employment practices liability and more. It provides security and safety to the business, businessman and other stakeholders. Government and law require to provide particular types of insurances for some business and some task. That depends on the state where your business located. No one cannot predict what might happen in the future exactly? no one cannot guaranty about the future.so it’s better to be insured. What happens if your business has effected some natural disaster or any other effect? And what about the money you lose during the time your business is closed? If you haven’t an insurance coverage for those issues, you will lose your money as well as your business. So that is the where insurance plays a critical role. Insurance can help a business survive from a serious disaster by protecting against loss of income. So insurance will help you to cover the loss and minimize risk and keep up the business and run continually. In your business, your valuable resource is your employees, not machines, materials or buildings. So you have to pay to protect your employees in the event of an accident. The law requires protection of your employees, better work environment, consider offering disability coverage and other requirements to ensuring the protection of employees. So insurance is very important for protecting your employees. That will help increase the employees’ satisfaction. While your employees protecting, you and your business also protect. If you protect and ensure your employees by the insurance policy, they will well satisfy and interest to work with safety feeling. It will cause to retain your current employees also it helps to attract new employees for your business. Some accidents that not cause by human hands such as floods, tsunami, tornados, and fires caused by lightning (Act of God). There are two types of property and casualty insurance protect against such loss: All-risk and peril-specific. All-insurance policies cover events except for those expressly mentioned. Peril-specific policies list particular risks and cover fire, floods and other specific acts of god. Insurance spread the risks over a number of people rather being concentrated on a single individual. Today we are living in a litigious society. In the event of liability claim or a lawsuit , without any insurance coverage, your business could fold. By one accident, one unsatisfied employee, one broken contract your business will be over. Even if you win the suit, you could go out of your business due to the cost of legal defense. So rather than worry about what could happen, it's better to get a suitable insurance policy for the cover that risk. If your business has the insurance policy, that shows your prospective clients, customers and other stakeholders that you and your business is a safe bet. If anything goes wrong, you have a way to compensate. It builds trust in your business. 14. You can use your insurance (life insurance) as security when you apply for loans from banks also it can be a good investment method. Business has to incorporate safeguard to protect their business from outside lawsuits. Because of different reasons to fails to operate safely, consumers or other people will file a case against the business. Then business has to pay those people. With insurance business can cover that cost. insurance will help to cover employment practices such as government regulations discrimination, sexual harassment, and unfair hiring, lawsuits. If the business has losses insurance company can come to rescue you. So the risk is shared between the company and in the insurance company. If you and other stakeholders effect from some unfortunate event, insurance will help you to manage bad occurrences to protect the business and stakeholders. Your claim will not pay if that damage or incident does not cover by your insurance policy and many claims take time to process because insurance companies need to assess the damage and they want to determine an accurate accounting of loss. Sometimes insurance can be expensive. According to the insurance type and amount of the insurance policies insurance cost will be increased. Some insurance policies are more expensive than other policies. So with the business growth, you should review your insurance policies to make sure they cover the existing needs, otherwise, if policy may not cover the loss completely it is better to leave from that insurance policy. 3. Some policies with limited scope. Some insurance policies might be limited with regard to the number of things that they cover. Most business owners have a better idea of what is their operations, tools, materials, technology, and equipment. But they haven’t a better idea about What type of insurance coverage they need to continue and protect their business. So if you want to start a business you probably know about what of the common perils you have to face? What can happen accidentally and other risks related to operations? After that, you should choose the proper insurance coverage to cover your risks. By having the right insurance cover, you and your business can avoid a major financial loss and minimize risks. So be carefully choice right insurance types that most suited to your business operations and risk and put those insurance plans in place as soon as possible. It will helpful for you to cover the costs of liability claims and property damage. If you have not proper insurance coverage you may have to pay those costs with your own business and personal assets. So it’s better to get suitable insurance coverage for your business. I think now you have a better understanding of Benefits and reasons for why your business needs insurance. Thank you for reading Benefits and 14 reasons for why your business need insurance.